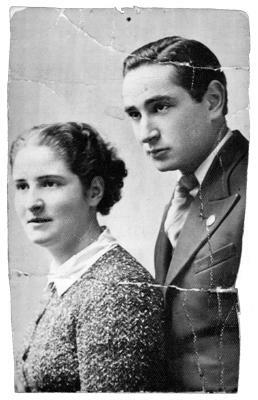 Holocaust Survivors: Photo Gallery - "Shep and Rachel Zitler"
Mr. Zitler and his sister in 1935 prior to her departure for Palestine to study medicine. Opportunities in Poland to study medicine were limited by anti-Semitism. The Zitlers were Zionists; they had contemplated moving to Palestine as a family, but decided it would not be feasible. Rachel and Shep's brother, Benjamin, moved there before World War II started.